It’s no surprise that David Lewis chose engineering as his trade. 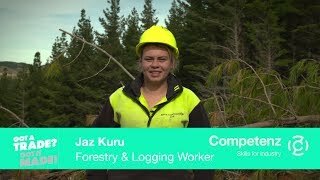 The 22 year-old Rotorua engineering apprentice admits he’s always been a person who enjoys pulling things apart to learn how they work. 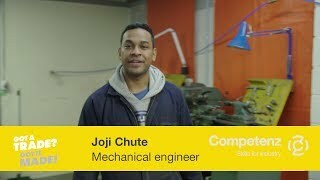 David originally intended to go to University to study mechatronics, but a change in the NCEA credit system and advice from his school metalwork teacher saw him embark on a different path, to an engineering apprenticeship. Damar Industries is the largest compliant manufacturer of dangerous goods, including coatings, chemicals and aerosols in New Zealand. David is a key part of the company’s engineering support team and according to chairman Scott Thomson, plays a critical role in developing solutions on site. Missing out on going to university and opting to do an apprenticeship has been “definitely the best option” for David. “University is not the only way to go about your future. If you’re interested in engineering, there are other ways to get to the same level, like an apprenticeship and further workplace training. Recently David won the coveted Stuart Tolhurst Memorial Award, an award that remembers the application engineer and New Zealand expert in rolling element bearing design and application. The award was presented at the National Maintenance Engineering Conference in Rotorua on 14 November. David says winning the award has confirmed to him he’s “doing the right thing”.